Application Assistance: Need help completing your application? Meet with an admissions counselor to assist you with the completion/submission of your online application or uploading of your supporting documents. 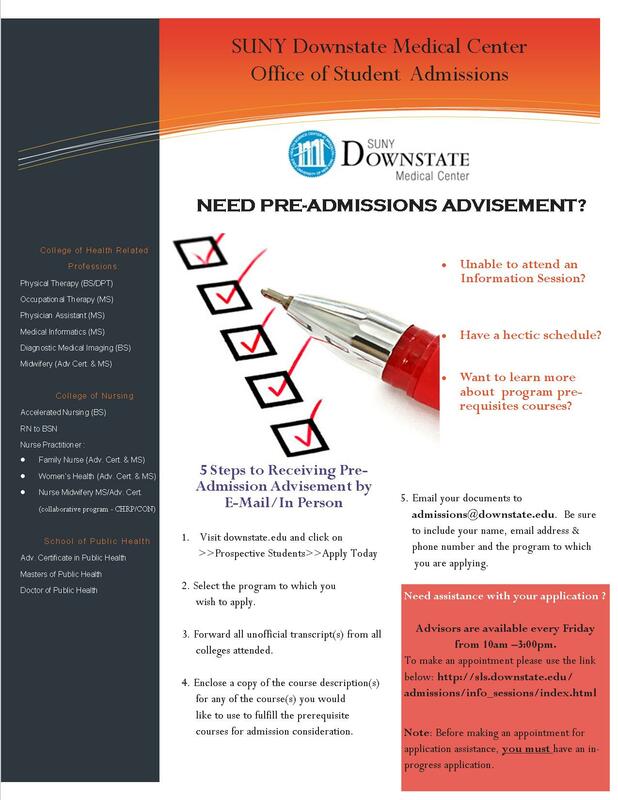 Pre-Admission Advisement: Meet with an admissions counselor to ask questions, evaluate your transcripts/supporting documents and to assess your readiness to apply.